Great post! I really love the how-now-wow. From I psychological point of view, I prefer to flip the y-axis so that ease of implementation is in the upper half of the diagram. This way, the WOW! is in the upper-right corner of the matrix and is on the way up when you start at the origin (0, 0). 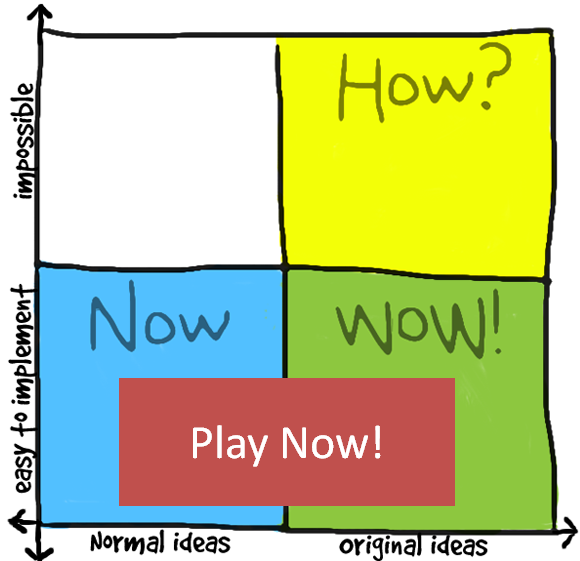 See http://pareltaal.nl/How_now_wow for an example. 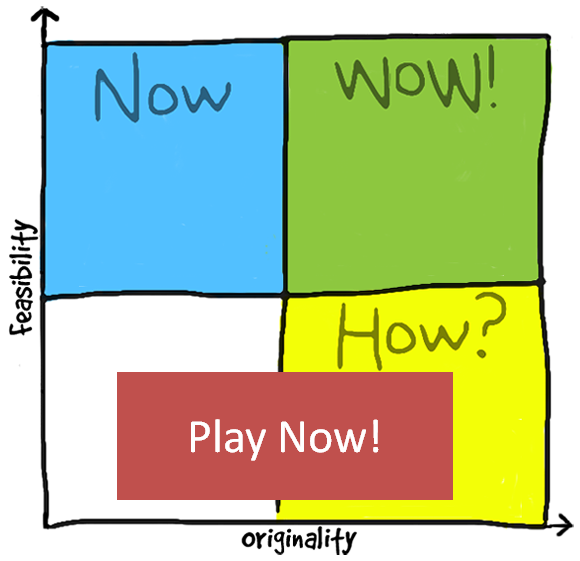 (Parts of the) stuff in the HOW quadrant can often be developed into the WOW! Yes, I can see how it would psychologically help to flipping the Y axis. Thanks so much for your feedback Martien. Great idea for keeping groups from developing least common denominator solutions. It can be frustrating to watch a group have dynamic creative ideas only to wash them all out in the convergence phase! Thanks for the great idea! This would be interesting to experiment with in our next brainstorming session. 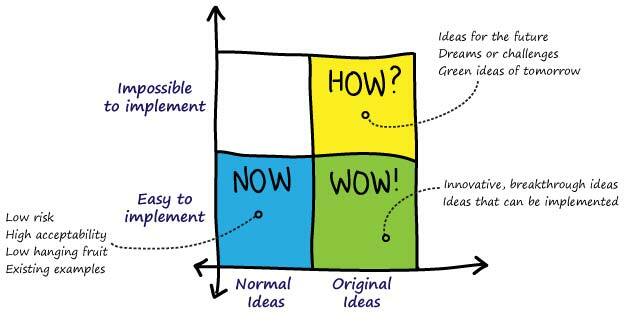 Great 2 x 2 process. I would also swop the axis.